Wool mattress topper is an amazing solution for a comfy and relaxing sleep at night, especially when you have a pretty firm mattress. The natural, eco-friendly and renewable material of wool can provide the most cushioning feeling for your body and regulate the wide range of temperature. To make you understand more about wool mattress topper, we collect the most common questions about wool topper. Learn more about wool topper and other topper types as well as read more mattress topper reviews will help you to choose the right topper for your needs. 1. Is all the wool mattress topper is made from 100% natural fleece? Almost wool toppers are 100% natural wool. And some products are combined of both natural wool and organic cotton or organic latex. These kinds of product are even more expensive due to its high quality and great durability. 2. What are the best features of wool topper? The best features/benefits of wool mattress topper is its incredible softness which highly support for a firm mattress; its ability to regulate the temperature (make sleeper feel cool in hot weather and warm in the cold); being resistant to the growth of mold, mildew, dust mite, moisture in order to prevent allergies. 3. Who the wool topper is best for? Wool mattress topper is perfect for anyone who wants a sound and deep sleep at night. However, a wool topper is highly recommended for sleepers having bed aches, arthritis, rheumatism, and injuries. That’s why wool topper is really preferred at hospitals, therapy centers, etc. by doctors in order to improve the patient’s comfort. If you are the kind of sleeper who is unable to sleep on too-fluffy surface because it can cause some pains at the morning, then you should not choose wool topper. 4. Which types of mattress that a wool mattress topper fit? All types of mattress. 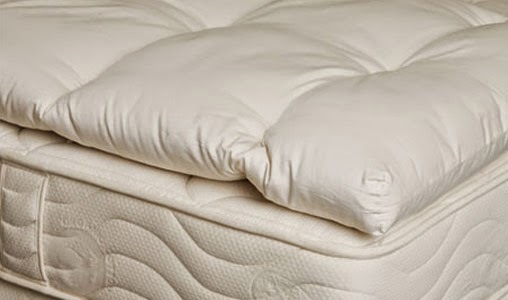 The main purpose of a mattress topper is supporting the mattress, especially the firm mattress. And a wool mattress topper can support any types of mattress, even the old one. 5. Which thickness of wool topper should I choose? 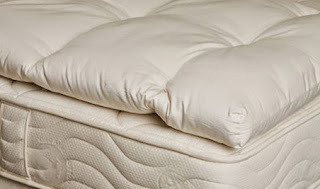 The appropriate thickness of a wool mattress topper depends on the weight of sleeper. The more they weight, the thicker they should choose. 6. Is it truly hypo-allergy? Yes, it is. Since it is made from 100% natural material, it works very well in preventing allergies. 7. 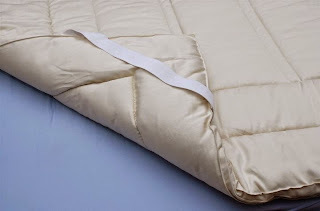 Does a wool mattress topper can reduce tossing and turning from other sleeper? Maybe. Actually, the wool mattress topper does not contain this function. However, some products are described with motion isolation ability as a innovation from manufacturer. If you are wool allergic, you will feel itchy when wearing a wool clothes. In this case, you should not purchase a wool mattress topper. 9. Can it be machine washed? Different from feather mattress toppers, almost wool mattress toppers can be machine washable. Some can even machine dryable. You’d better read the constructions carefully before using it. 10. Is it a flame-resistance? You should know that wool fiber is itself a natural flame resistant without adding any chemicals or toxins. It has low rate of flame spread, a lower heat of combustion. And when it burn, it creates a char that can insulate and do not release toxic gas or smoke that harm the environment. It is very safe and eco-friendly material. 11. What is its average price? Prices for wool mattress toppers often range from $120-$360. The average price paid is about $182. It is little bit costly than other types, but thanks to its durability, it worth that amount of money. In general, wool is an outstanding material in making mattress and mattress topper. Even though it still exists some tiny problems such as regular shaking/fluffing is necessary, its prices, etc., there is nothing better than using a 100% organic product. Wool mattress topper is able to meet all the demands of a high-quality mattress topper. It covers a lot of benefits which either may or may not the obvious benefits of a mattress topper. You can read more about wool topper and other types of topper. Wool topper is a great supporter for mattress, no matter of the old one or the new one. Because of a natural material, it works very well in control the ideal body temperature, helping sleepers always feel comfortable all-year-round. It also absorbs all the liquids, especially the human sweats, and makes the topper always dry and comfortable when lying upon. The 100% organic material can allow the pad to become bacterial and allergic resistant. Wool mattress topper can be proud to be a completely environmental safer and protector. In conclusion, using wool mattress topper is a smart choice for better and healthier sleep. 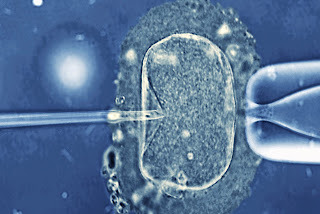 IVF is an abbreviation of In Vitro Fertilization, a technique that has been in use for over three decades. In the early years of the treatment, babies who were conceived this way were labelled as "test tube babies". The IVF treatment that you receive will vary depending on your circumstances, and this could be due to a number of mitigating factors, such as your age, your medical insurance coverage and the underlying cause of your infertility. The most popular treatment is the traditional IVF treatment. Traditional IVF treatment consists of an injection of medication that helps to stimulate the production of more than one egg. Once the eggs have reached a certain level of maturity and quantity, they are then removed by the use of a special needle, and the whole process takes no longer than 10 minutes. Once the eggs have been removed, they are placed together with the sperm in a special container that is then placed in an incubator in the hope that natural conception occurs. After a wait of about 5 days, and if the eggs have been fertilized, the fertilized egg is then inserted in to the womb with the hope that a healthy baby will form. One form of IVF treatments that is now available is known as Intra Cytoplamic Sperm Injection (ICSI). It is similar to standard IVF treatment in its early stages, the major difference is that the sperm is injected into the egg, rather than being placed into a dish with the egg and left for nature to take its course. By injecting the sperm into the egg, the hope is that the conception rate will improve. Once fertilized, the egg is then placed within an incubator in the same way as a traditional IVF treatment, and then the egg is reintroduced back into the womb in the hope that the pregnancy will carry on from that point. Finally there is Gamete Intra Fallopian Transfer (GIFT) treatment, and again the early stages of this treatment are similar to the more traditional IVF treatment. The eggs are stimulated and removed before being placed with the sperm into a special catheter, which then places them back in to the woman's fallopian tubes. At no stage are the sperm and egg allowed to fertilize outside of the body, which will take place within the woman's body. This procedure is the only one allowed by the Catholic Church. Deciding to have IVF treatment is a huge step and you will want to choose a reputable clinic to see you through the process. For couples who are looking for help with IVF in New York I recommend that they contact the experts at Genesis for compassionate and professional treatment. The lack of sensitivity in our world is clearly visible when we observe the buildings in a big city, but we simply ignore the absurdity existent in our environment. Our indifference to what is bad doesn't let us pay attention to our reality. We don't understand how ugly our environment really is because we don't concentrate our attention on this matter. You may believe you are able to understand your reality based on your reasoning system, but logical thinking without sensitivity cannot help you completely understand your reality. Our world is a disorganized chaos exactly because we make many decisions based on logical thinking, without taking anything else into consideration. Our absurdity is visible especially when we analyze all the wars and crimes that keep happening in our dangerous world. The poverty that tortures a big portion of our population is another clear demonstration of our insanity. Human beings are insensitive. This truth characterizes the human race. Everyone needs psychotherapy. Everyone must learn how to be sensitive, and at the same time develop their capacity to think logically. This is why God sends us wise messages in dreams. My discoveries after continuing Carl Jung's research give scientific explanations for religious mysteries, besides enlightening the content of the human brain. By relating science to religion I could better understand the meaning of dreams and the meaning of life. Logical thinking is a very dangerous practice. Ideas are logical assumptions that can be far from the truth. For example, when we don't understand the way people feel we disregard how painful it will be for those who will follow our ideas to put our theoretical plans into practice. This is what politicians do. They decide how everything must function based on theories derived from their reasoning system, without taking into consideration how others feel when they have to put their theories into practice. The formation of a world separated in countries that have military forces is the formation of a chaotic world where there is no real peace anywhere. Our hypocritical 'justice' is based on violence and financial power. Without sensitivity we can only make absurd decisions and create unbearable situations. Logical thinking without sensitivity is the acceptance of absurdity without criticism. This is why the divine unconscious mind teaches you the importance of sensitivity in dreams. You have to understand the importance of compassion and never cause a war. There are many types of wars in our world. Some of them are characterized by bombs, but there are also many invisible wars characterized by hidden attacks. You will observe that many of your logical thoughts are absurd because of their insensitivity. They are sent by your anti-conscience (your wild conscience), but you cannot imagine that these thoughts are not really yours because they don't come from your human conscience. Since you listen to these thoughts in your conscience with your own voice, you believe that these are your conscious thoughts. However, they are illogical thoughts camouflaged into logical thoughts. Your anti-conscience has the intention to mislead your conscience and destroy your capacity to think logically. The anti-conscience is always sneaky and dishonest. You are free to listen to your anti-conscience's thoughts because you are tested. You must learn the importance of offering resistance to all absurd thoughts. Your human sensitivity must help you condemn these absurd thoughts instead of accepting them, as if they could help you in any way. You have to remember the importance of goodness during challenging moments. You are tested because you have to acquire consciousness and consciously decide to be a good person. God gives you freedom because you are not a robot, but you must prefer to be obedient and follow His guidance. You have to understand by yourself that your religion helps you live and evolve, without making dangerous mistakes. Logical thoughts without sensitivity can easily follow illogical patterns. Nothing helps the individual understand the meaning of his or her thoughts if he is insensitive. In the end, his initial insensitivity is replaced by unbearable sensations. The anti-conscience becomes more powerful when it manages to destroy the person's human conscience. This is why it generates many unbearable symptoms, besides sending numerous absurd and negative thoughts to their conscience, without stopping. 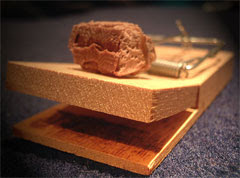 You must learn how to identify the logical traps of your anti-conscience and the logical traps of the world. By developing your intelligence and your sensitivity through dream translation you will stop making mistakes. Your wisdom and your sensitivity will protect you. Even if you already are mentally ill you will manage to acquire sound mental health. The unconscious mind helps you eliminate what is negative in your brain and psyche. If you will observe the religious lessons of all religions of the world you will realize that all religions teach us how to show compassion to those who depend on our actions, how to help others, and how to form peaceful communities. God talks about love and justice, teaching us that we have to offer resistance to all temptations to be bad. We have to respect the guidance we have in religious documents and never act based on violence, selfishness, and cruelty. God teaches you how to stop being violent with more details in your dreams. You also learn how to stop being naïve, indifferent, selfish, and inconsequential. Now that I simplified Carl Jung's method of dream interpretation everything is very clear. Your conscience will understand the precious unconscious messages in your dreams and eliminate the negative influence of your anti-conscience. You will learn how to avoid logical traps for being sensitive and connected to your reality. You will always show compassion to everyone. You will always pay attention to details. You will also improve your memory because you will remember all the details of your reality and relate them to your logical speculations.